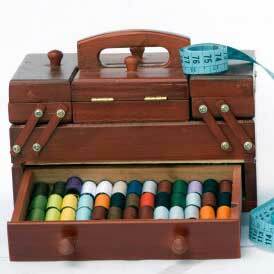 Home > Sewing Tips and Tricks > Does Sewing Thread Get Old? Does Sewing Thread Get Old? Learn all about why thread gets old, how to test whether thread is expired, and how to make your thread last longer. Though it may seem like a good idea to buy a box of vintage thread at a ridiculously low price, it may actually be counterproductive to your sewing goals. Like all good things in life, thread can’t last forever. Though it may look fine, thread can get too old to work properly, leading to breakage and uneven coloring. However, there is no set expiration date for every spool of thread. Many different variables affect how long thread lasts, including the quality of the thread, the thread’s exposure to the elements, the spool’s material, and the thread’s material. You may not be able to determine whether a spool is still good based on how old it is alone, but there are other ways to test whether the thread can still be used. We have a few sections below that will go over everything you need to know about thread, so take a look and find what you would like to know. Why Does Thread Go Bad? Thread has a different shelf life depending on the quality of the thread itself. Higher quality production tends to make a long-lasting thread. The material of the thread impacts how long it lasts, too. According to Heather Valentine in her TheSewingLoftBlog.com article “Vintage Thread Spools,” thread from twenty or more years ago was mostly made from polyester or nylon rather than cotton. Between the two materials, polyester tends to be more durable and may, therefore, last longer. Tie a knot in the middle of a forearm-length piece of thread. Gently pull the thread from both ends. If the thread breaks, it’s too old to use. Thread goes bad for the same reason why many things go bad: exposure to the elements. These elements include light, humidity, dust, and temperature. Prolonged exposure to elemental extremes weaken the fibers of the thread, causing breakage. Valentine notes in “Vintage Thread Spools” that the material of the spool itself can impact the durability of thread, too. Styrofoam and wooden spools tend to weaken thread over time due to the chemical reaction between the spool and the thread material. Always wind your thread neatly around the spool. Store your thread in a container that keeps spools separated from one another, covers the thread from settling dust, and keeps the thread away from light. Keep your thread in a place with relatively stable humidity, such as the main part of your home. Store your thread at room temperature. Do you buy thread new or do you like finding vintage thread to use?